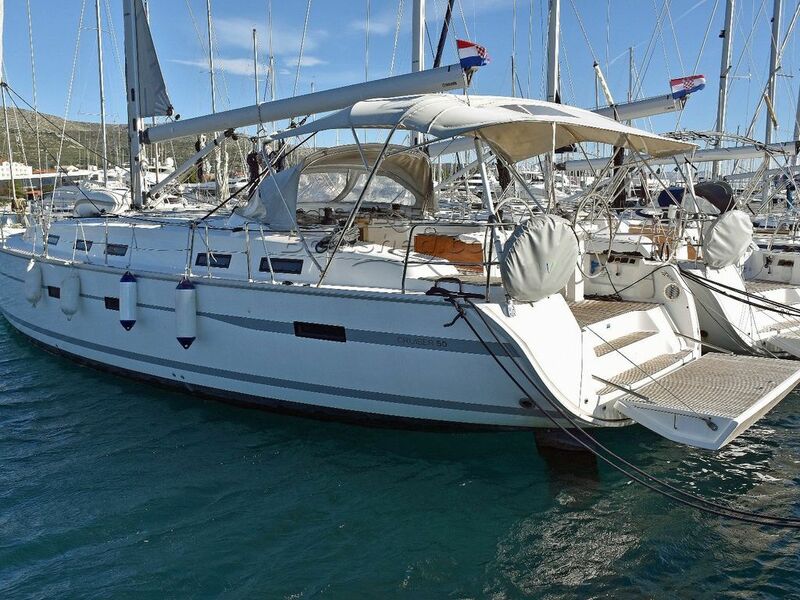 This Bavaria 50 cruiser has a very solid feel and a very good layout on deck and below. It is a five-cabin model with the split V-berth, a shared head forward, and a cabin with two bunks. The interior is very airy thanks to 17 opening hatches and 12 ports. Bavaria 50 cruiser is a well-rounded, comfortable boat with many functional and ergonomic characteristics. VAT is not included and has to be added to purchase price. This Bavaria 50 Cruiser has been personally photographed and viewed by Maroje Mose of Boatshed Croatia. Click here for contact details.